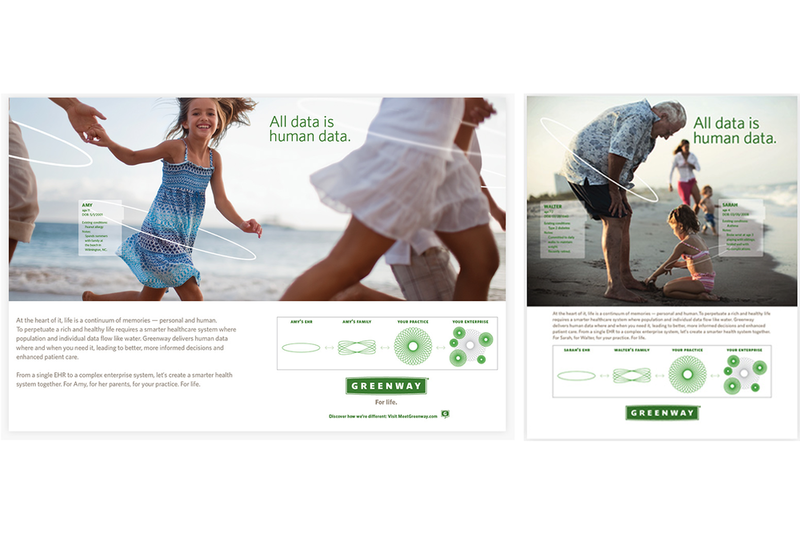 The task was to share Greenway's unique corporate character and technological offerings to a highly-dynamic and competitive healthcare technology industry. The healthcare industry was amidst a radical transformation with digital adoption and interoperability at its heart. The use and benefit of technology was clear, as with most industries, but the adoption and integration proved to be a colossal challenge due to a pre-existing condition - a complicated, analog system with an unpredictable payment logic, shrouded in privacy. 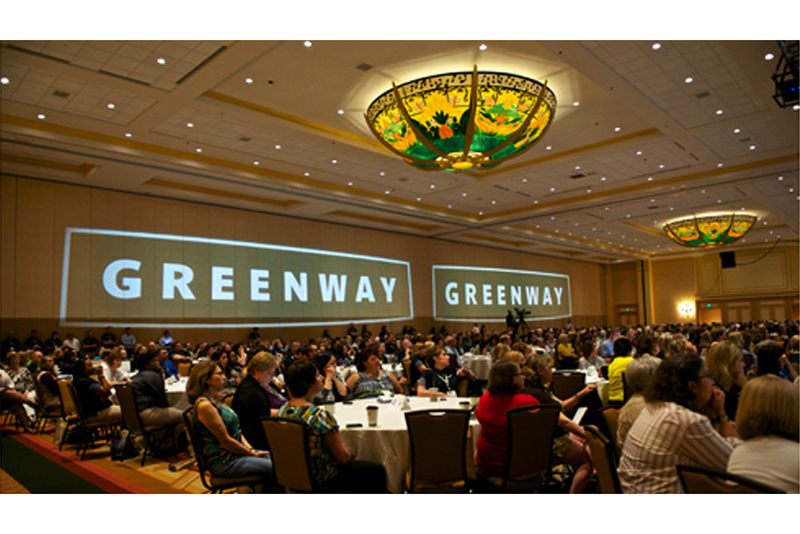 Greenway began as a private, regionally-known brand competing amidst a population of large, public companies. According to KLAS, Greenway delivered exceptional electronic heath care record (EHR) products and services building favorable customer satisfaction ratings among physicians everywhere. Fueled by Federal incentives, Greenway engaged Vista to quickly capitalize on this growth opportunity by outperforming a market populated by large competitors, many of whom garnered significant brand recognition and awareness. Since 1998, Greenway had delivered exceptional electronic health record (EHR) products and services – building favorable customer satisfaction ratings with hospitals and physician practices beginning digital adoption fueled by Federal Government incentives. 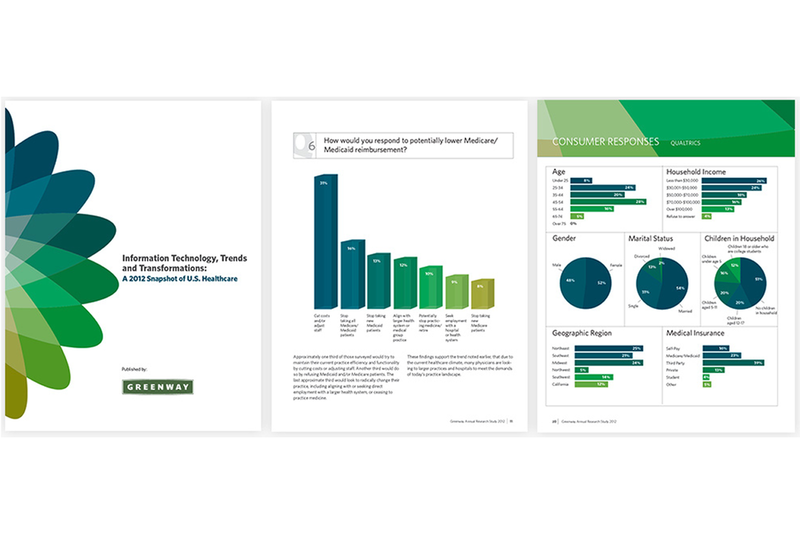 Greenway needed to quickly capitalize on this dynamic growth opportunity to compete and win in a market crowded by numerous EHR providers – many of whom garnered significant brand recognition and awareness. 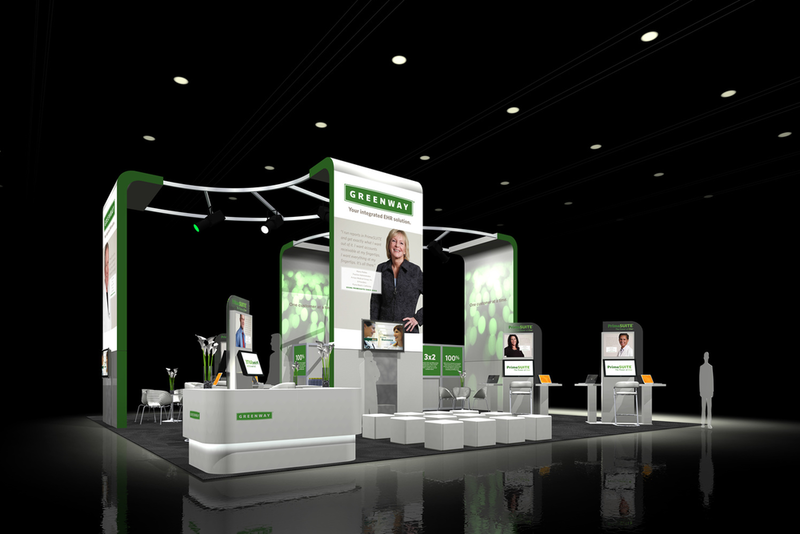 Greenway and Vista started collaborating in January 2010 to rebrand and amplify their voice to the marketplace. For four years, Vista's relationship with Greenway was centered on illuminating not only the power of their technologies but their special corporate character. The company earned the highest ratings in customer satisfaction by employing a philosophy that technology is designed to support and enhance the human interactions in pursuit of health and wellness. To unlock the value of their enterprise, Vista utilized its 6-step, proprietary process - the Vista Brand Roadmap. Working closely with the senior leadership team, Vista plotted a multi-year course that combined evidence-based analytics with cross-functional communication campaigns to position the company for greatness. In a world drowning in data, Greenway's intensely human positioning serving up technology has propelled them to a successful IPO culminating by ringing the bell at the NYSE on February 2, 2012. By growing over 40% CAGR, Greenway generated significant enterprise value that attracted a new chapter of growth and progress. In August 2013, Greenway was acquired by private equity representing Vitera, a billion dollar healthcare IT company, for $622 million. The combined entity chose to trade privately under the Greenway brand name.